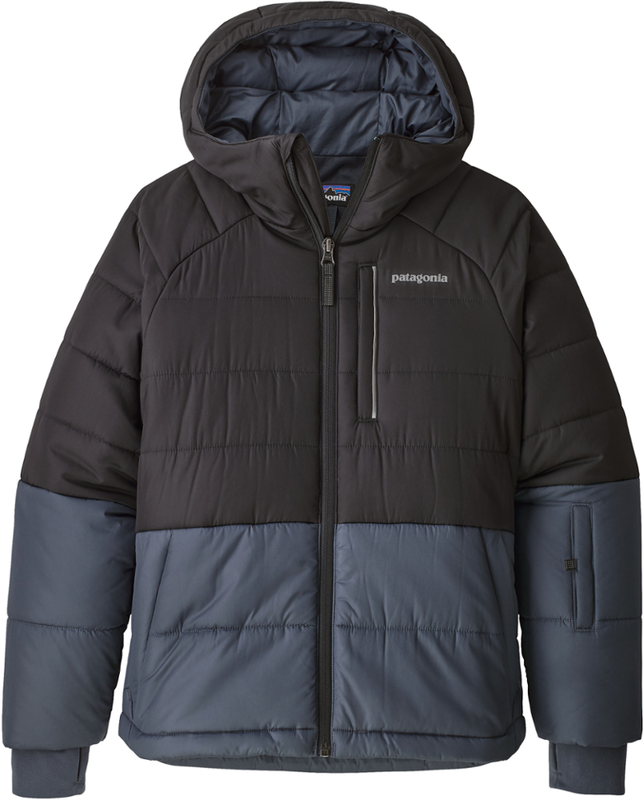 Designed for colder weather, the Patagonia Aspen Grove Jacket is insulated with 200 grams of Thermogreen(R) insulation (150 grams in the hood) to make even the coldest days manageable. Worn as a ski/snowboard jacket or city jacket in cold climes, the Aspen Grove features a slight drop tail and grow-fit sleeves for additional length when that growth spurt hits. 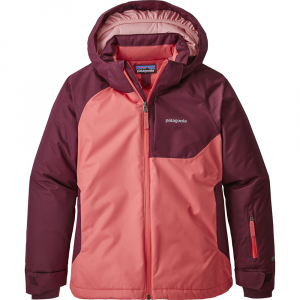 From ski hill to ice rink to school playground, the Aspen Grove Jacket is Patagonia's Jack Frost-of-all-trades winter coat, because it works as both a ski/boarding and as an everyday jacket. It has a quilted, lightweight windproof shell with a high tear-strength and DWR (durable water repellent) finish for water-resistance and 200-g (150-g in the hood) Thermogreen 100% polyester (92% recycled) insulation that stays warm even when wet and provides excellent warmth. The three-panel hood with shaped opening is lined with soft brushed polyester fabric. Center-front zipper has a reflective zipper pull, an internal wind flap and zipper garage to minimize chin chafe. Zip chest pocket has pass-through hole for media cord, pass pocket at sleeve, drop-in pockets secure with hook-and-loop and snap closure. Articulated sleeves with grow-fit feature increases length by two inches; internal microfleece cuffs have thumb holes. Other details include a tricot lining for cozy warmth at back neck and back of chin guard; a full powder skirt with double snaps, which also attaches to the jacket when not in use; internal pass loop for traditional hanger passes and a slight drop-tail hem for added coverage. Hand-me-down ID label. 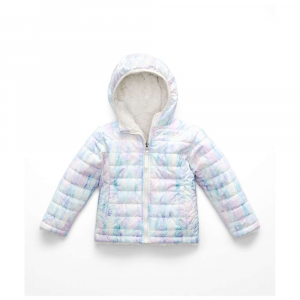 The girls' Patagonia Pine Grove insulated jacket has all the features of a winter coat plus a full powder skirt. She'll wear it skiing or boarding on powder days and also to stay warm in the city. The Pine Grove Jacket is our most versatile coat for kids: It has all the features of a winter coat plus a full powder skirt. The quilted, lightweight windproof shell has high tear-strength and a DWR (durable water repellent) finish for water-resistance. Its 200-g (150-g in the hood) Thermogreen(R) 100% polyester (92% recycled) insulation provides excellent warmth and stays warm even when wet. 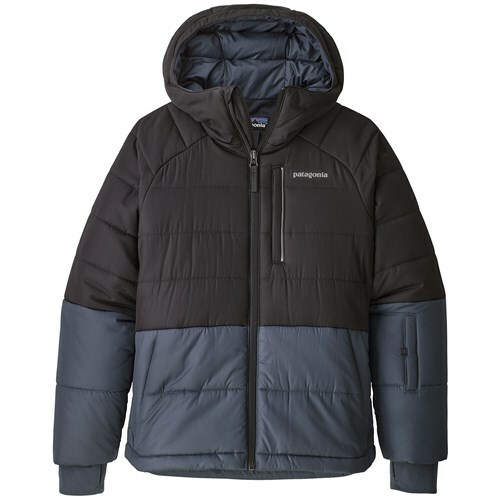 For extra cold weather, there's an insulated, three-panel hood with a shaped opening and soft polyester taffeta lining. When she heads to the slopes, the full powder skirt comes in handy as does the pass pocket on the sleeve, an internal pass loop for traditional hanger passes and a slight drop-tail hem for added coverage. Other details include a center-front zipper with a reflective zipper pull, an internal wind flap and zipper garage to minimize chin chafe. The zippered chest pocket has a pass-through hole for media cord and the side pockets are zippered. Articulated sleeves with grow-fit feature increases length by two inches; internal microfleece cuffs have thumb holes. Tricot lining for cozy warmth at back neck and back of chin guard. Hand-me-down ID label. 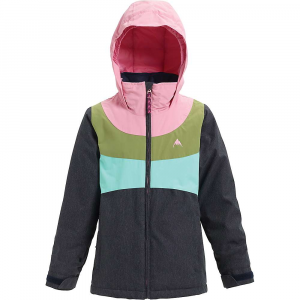 Get the young one out and in the snow with the Patagonia Girls' Aspen Grove Insulated Jacket. 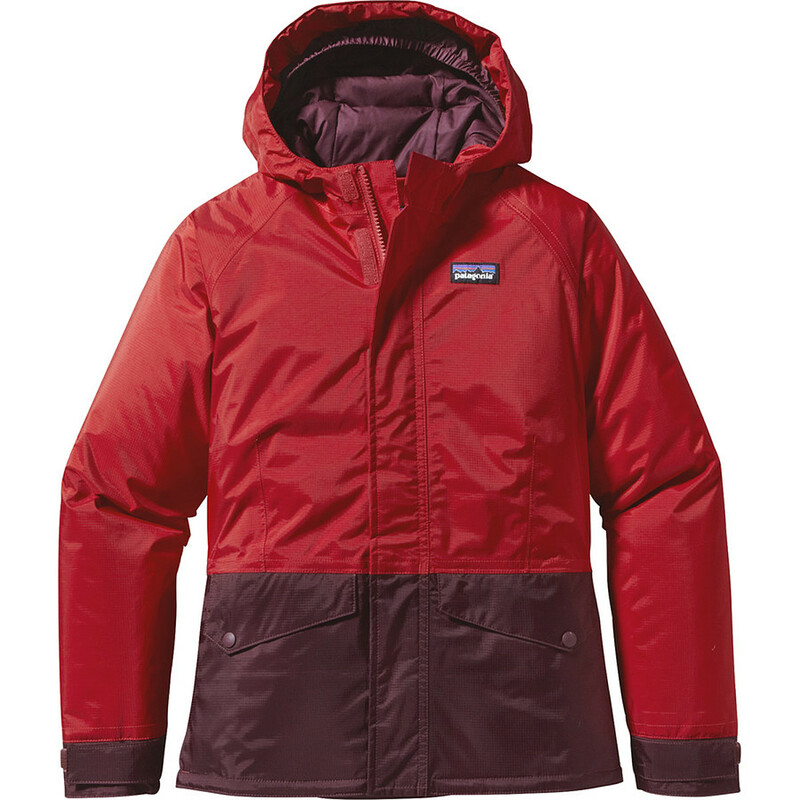 This jacket is extra warm with it's water resistant down-alternative and DWR finish keeping water out and warm in. 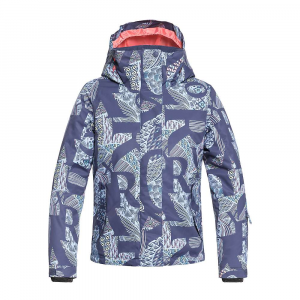 She'll be cruising the slopes without worrying about getting snow up her sleeves or in her coat because of the powder skirt and the wrist gaiters this jacket sports. A warm hood fits snugly over her helmet so she can safely make her way across the mountain. The tricot lining retains heat so no matter what the weather is that she faces, she'll be sending lines.